LOS ANGELES – February 2014 — Southern California-based live event sound, equipment rental and broadcast audio production specialist ATK Audiotek recently acquired a slew of DiGiCo digital consoles, immediately putting them to work on the 56th annual GRAMMY® Awards telecast in Los Angeles in late January. 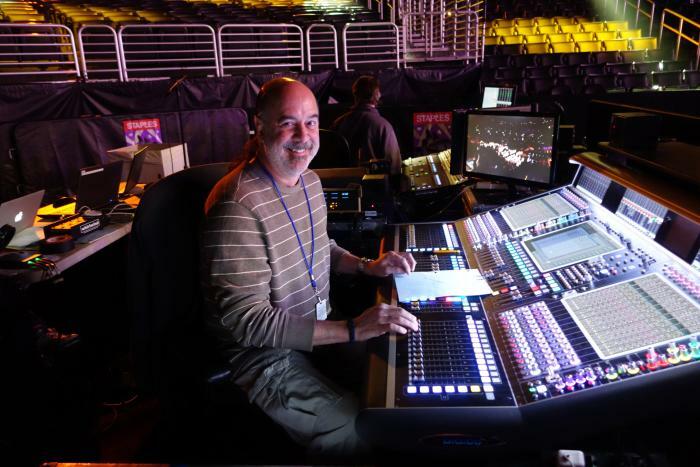 This is the third consecutive year that ATK has relied on DiGiCo consoles for the production of “Music’s Biggest Night,” with this year’s show marking the very first outing for the company’s latest purchases. ATK, the audio production provider for the Recording Academy’s annual music celebration since the telecast permanently relocated to the Staples Center in downtown L.A. fourteen years ago, made the switch to DiGiCo consoles in 2012. This year, the console complement included an SD10 for Mikael Stewart, FOH production mixer and ATK’s vice president of special events, plus an SD7 for Ron Reaves, FOH music mixer, seated alongside Stewart. 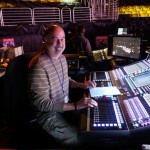 “Everybody who comes through the GRAMMYs leaves happy, and all I use is the onboard processing,” says Reaves. “But my partner in crime at the GRAMMYs, Mikael Stewart, uses the Waves plugins quite extensively. He mixes all the dialog and the production elements, so he makes use of the DNS plugin on some of the podium mics.” Stewart, whose console was directly connected to a DiGiCo SoundGrid server, used the Waves Dialog Noise Suppression plugin to reduce the room regeneration coming back in to the microphones and also made use of the Waves C6 Multiband Compressor.